Tablet made in China. 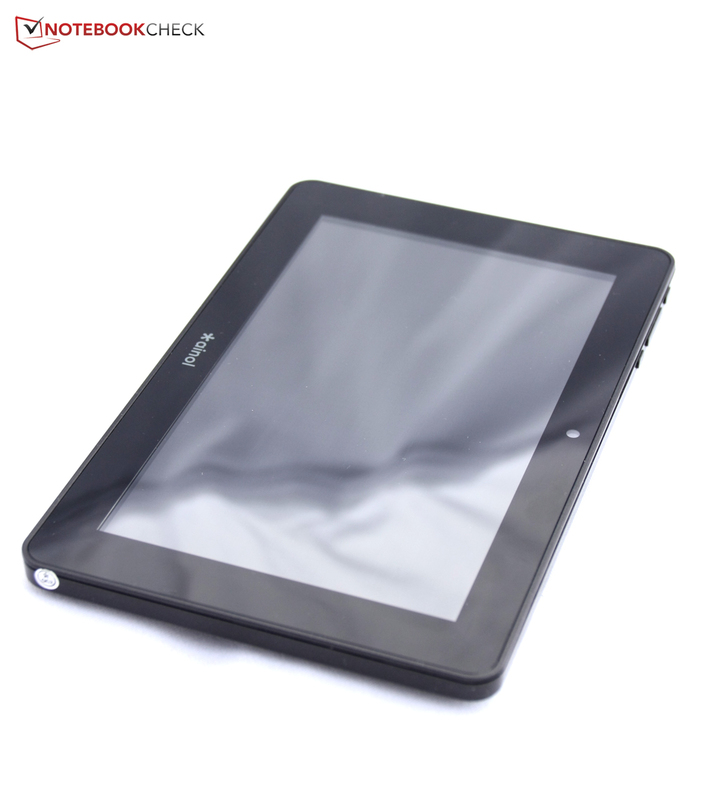 The manufacturer Ainol is based in China and is now represented with extremely cheap tablets in the Western hemisphere as well. What does Ainol's Novo 7 Crystal Quad Core have to offer for a price of around 90 Euros (~$116)? And how will it fare in comparison with other low-budget devices? 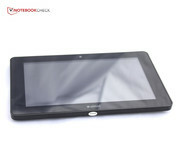 The manufacturer calls its tablets Elf, Aurora or Dragon. 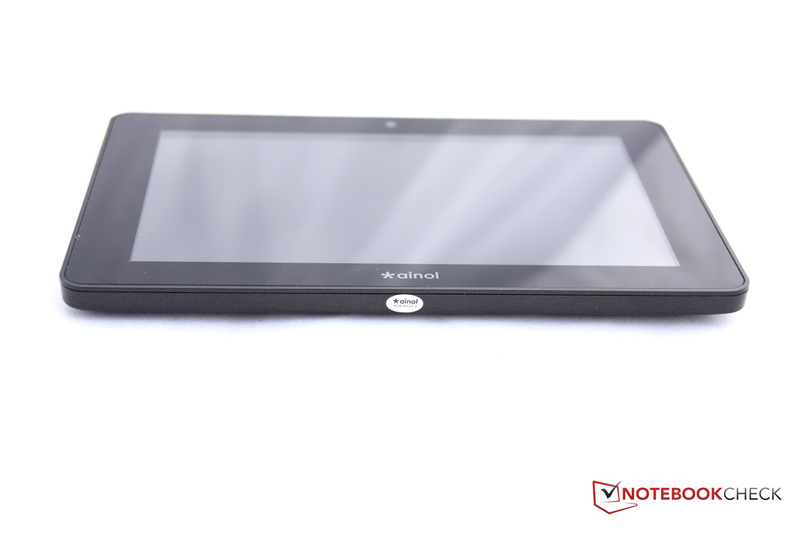 However, Ainol not only likes mythical names it also has compiled an extensive portfolio featuring dozens of tablets. 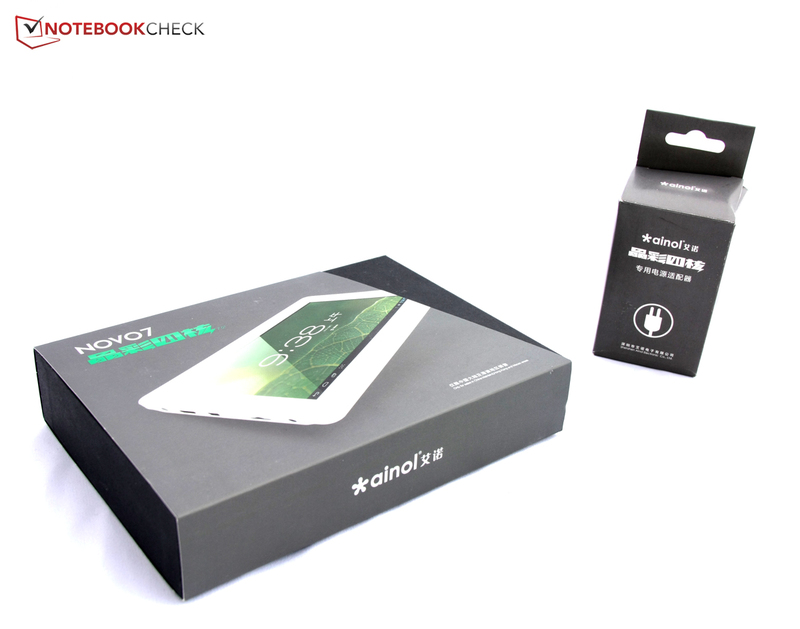 We are testing the 7-inch Ainol Novo 7 Crystal Quad Core that is sold for an extremely low figure of 90 Euros (~$116). Its specs are a quad-core processor, eight GB of flash memory and a resolution of 1024x600 pixels. 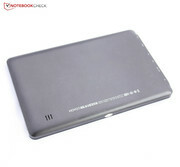 Our test device is courtesy of the online store www.cect-shop.com, which specializes in Chinese tablets and phones. 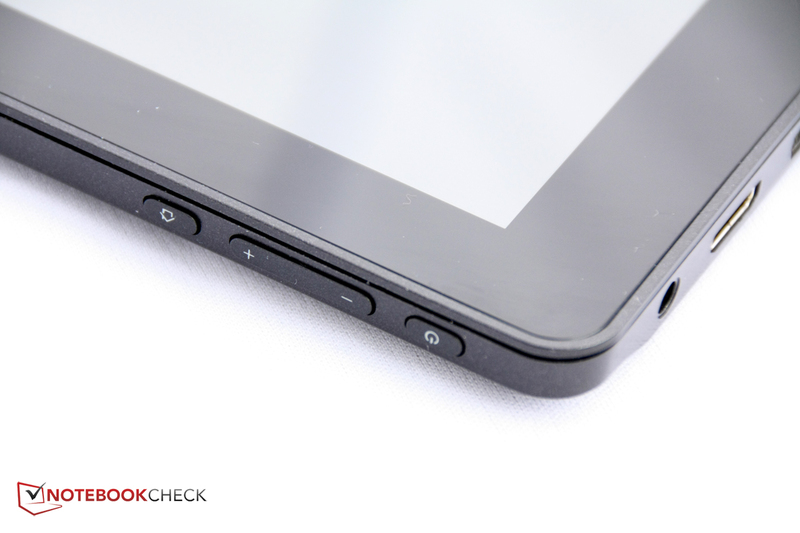 Many manufacturers are currently relying on extremely cheap 7-inch tablet. 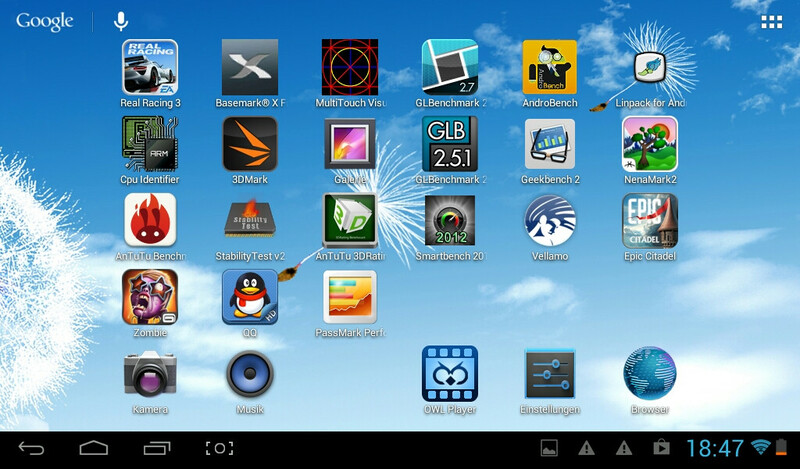 For example, rather unknown names like Coby and its Kyros MID7022, Odys and its Loox or Prestigio and its MultiPad 7.0. Of course, the bigger manufacturers are also rounding off their portfolio toward the lower end. An example here would be Acer's Iconia B1-A71. Not to forget competition by way of Amazon’s Kindle Fire HD 7 or Google’s Nexus 7 that are available for a slightly higher price. Can Ainol score with its Novo 7 in this competitive environment? 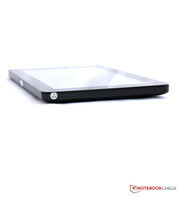 No one should expect a metal casing for not quite 90 Euros (~$116) and Ainol wraps its tablet in simple, black plastic. The back cover is glossy and susceptible to fingerprints. The casing's design is plain and should unlikely deter any customers. However, it does not feature any highlights either. Interestingly, the casing makes its big debut acoustically. The tablet makes creaking noises everywhere just by picking it up. It also produces an audible snapping noise when pressure is applied to the front's upper left. The stiffness is inadequate. The slightest pressure from the back is passed on to the screen and becomes visible as waves in the liquid crystals. Some of these pressure marks even remain for a while. We have not yet seen this to such an extreme extent in any device. On the other hand, the tablet cannot be warped and the transitions between the parts are well processed. Ainol's Novo 7 Crystal positions itself in the midfield compared with its contenders. However, its weight undercuts even a few brand name devices. With a weight of 335 grams (~11.8 ounces), it is much lighter than Amazon's Kindle Fire HD 7 that weighs 60 grams (~2.1 ounces) more. 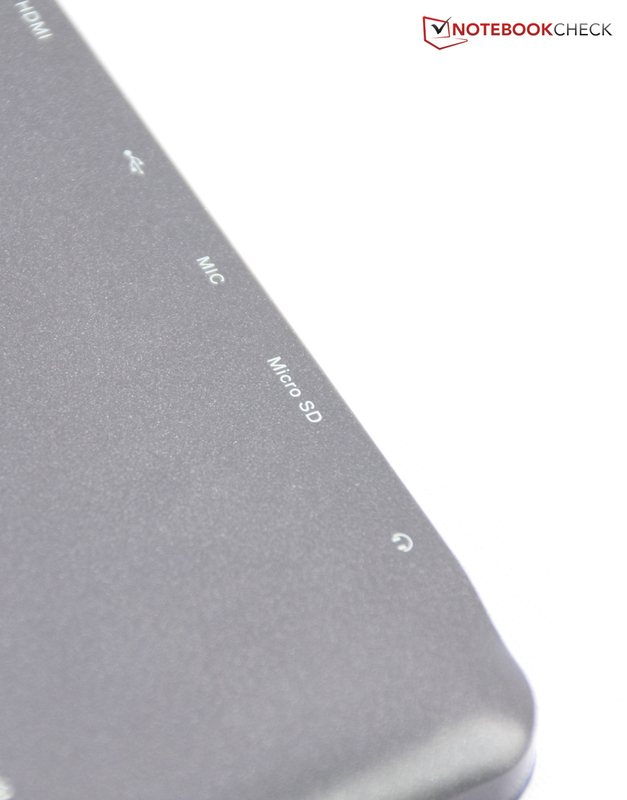 The tablet's interfaces are all located on its left when holding the tablet in landscape mode. The home, volume and on/off buttons are at the upper left edge. 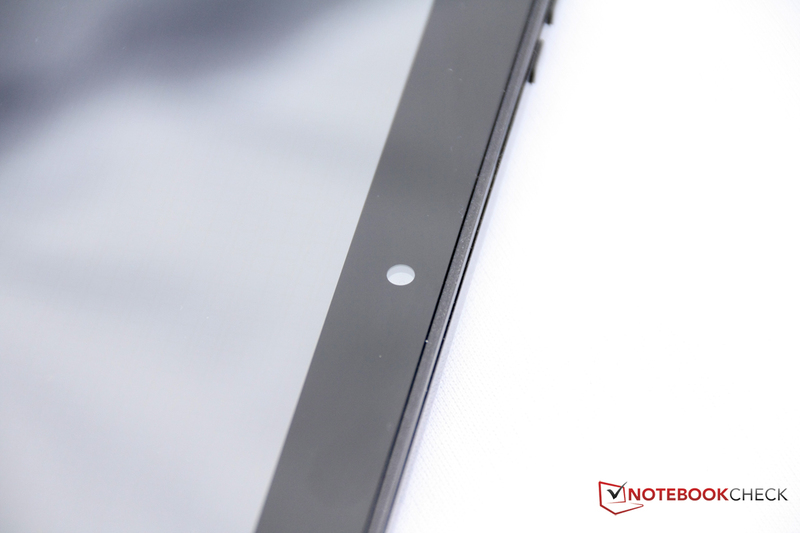 This puts them in a favorable position when the tablet is held in portrait mode because the buttons are then in the upper area and all connections are at the top like on a smartphone. 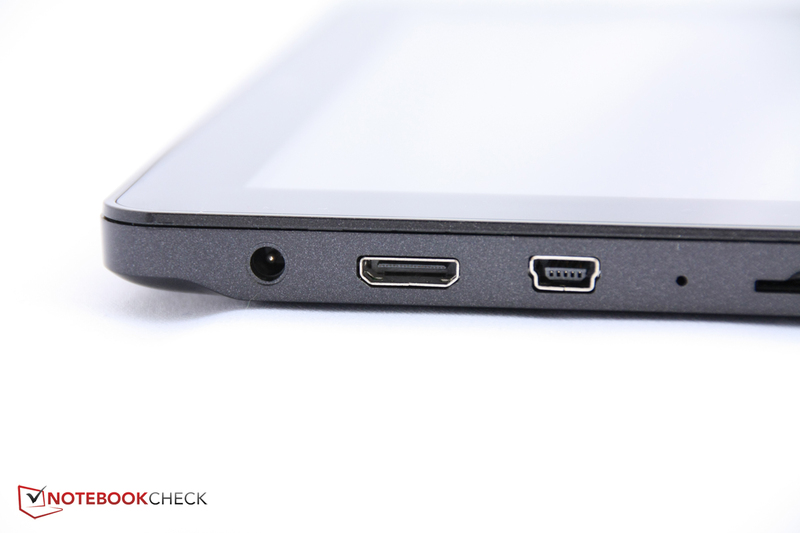 The connectivity corresponds to tablet standards. 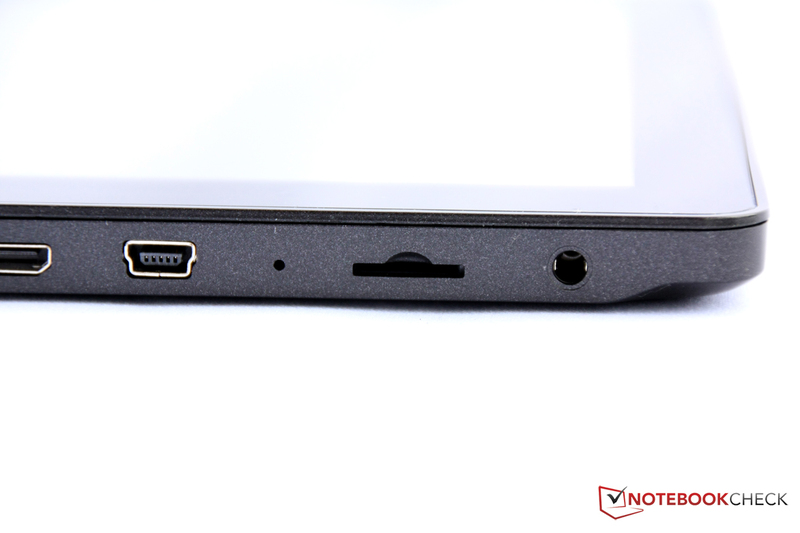 However, Ainol integrates a micro HDMI port that is not available in all low-budget tablets. The innards of Ainol's Novo 7 Crystal are composed of a quad-core processor and a dual-core graphics card as well as one GB of working memory and eight GB of flash memory. 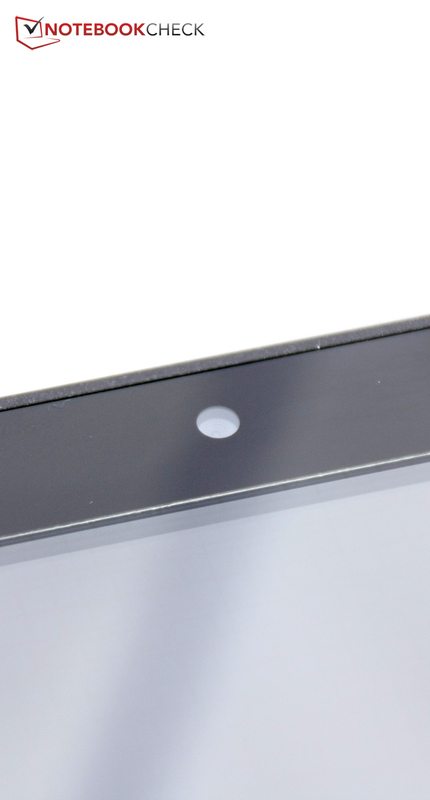 The tablet only sports one webcam that also has a rather low resolution. 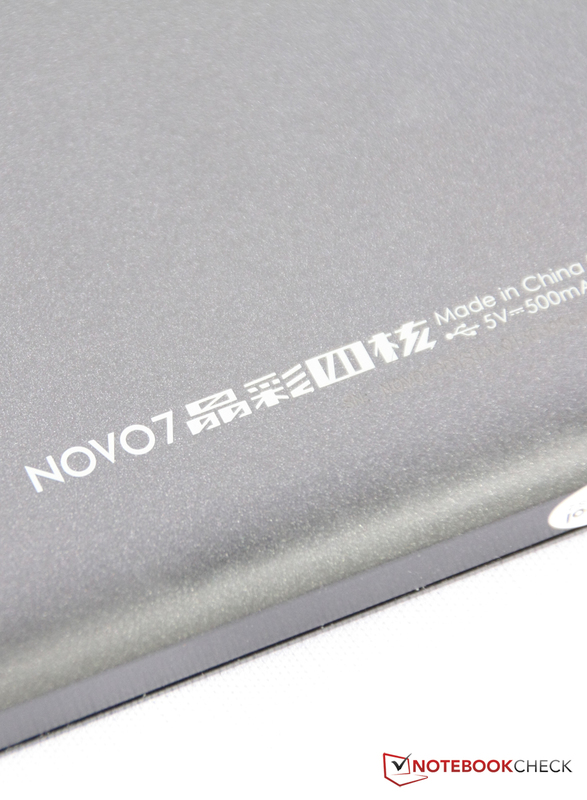 As for equipment, the Novo 7 Crystal is generally on a par with its contenders. Solely the quad-core processor seems promising because it is usually only found in brand name devices like Google's Nexus 7. Many of the apps are Chinese and useless for Western users. Only the good OWL player is included in English. The Chinese manufacturer installs Android 4.1.1 and thus a quite up-to-date version of the operating system, although version 4.2 is available. Ainol installs a few apps that look very interesting but are written completely in Mandarin Chinese and thus will cause confusion rather than add value for Western users. 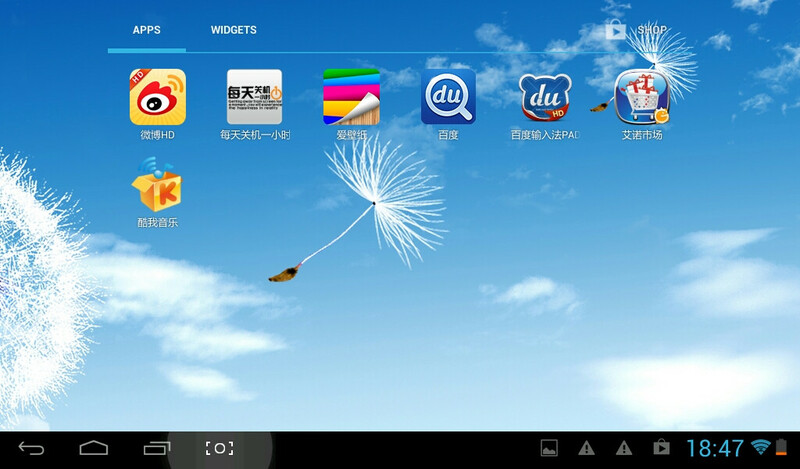 Although a German reseller has reconverted the operating system to German, the tablet starts in Chinese after resetting it and some knowledge of Android or Chinese are needed to find the language menu in the settings. This YouTube video could also help. Some apps also used the settings for Chinese symbols and were illegible due to the lack of characters. Only the good Owl Player video player is included in English and a nice extra. Wi-Fi 802.11 b/g/n support is standard for tablets and Ainol's Novo 7 Crystal makes no exception. That is also the only communication option. 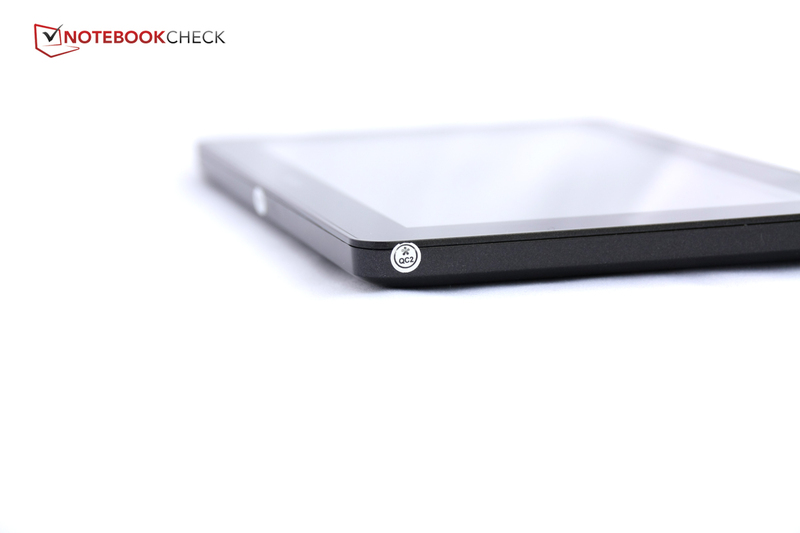 The 7-inch tablet does not feature Bluetooth, NFC, mobile Internet or a GPS sensor. Manufacturers often make cutbacks in cameras and Ainol does not put much effort in the small lens on the front either. The low resolution of 640x480 pixels goes hand in hand with pale colors, intense color noise even in bright light and blurred edges. Thus, using the tablet for shooting pictures is not recommended. The video function should not be used either because it only makes jerky pictures. The camera's main purpose is video calls anyway because it is on the front. However, an external camera should be connected for sending better pictures to the called party. Videos ran smoothly in all common formats in practical use. Ainol also installs two demo videos in 720p and 1080p, although not much difference is seen between the two due to the screen's low resolution. Besides a USB cable and the charger, Ainol does not include any accessories for the Novo 7 Crystal Quad Core. 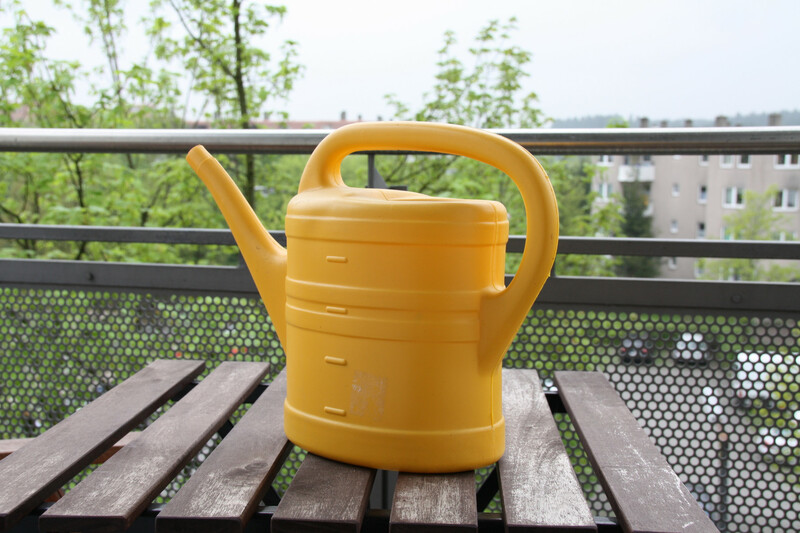 However, the manufacturer offers many reasonably priced accessories on its website. The buyer will have to add 10 to 20 Euros (~$13 to $26) for shipping because the accessories come directly from China. For example, an artificial leather case can be ordered for 5 Euros (~$6), an HDMI cable is available for 3 Euros (~$4) and a WWAN dongle for connecting the tablet to mobile Internet costs 3 Euros (~$4). 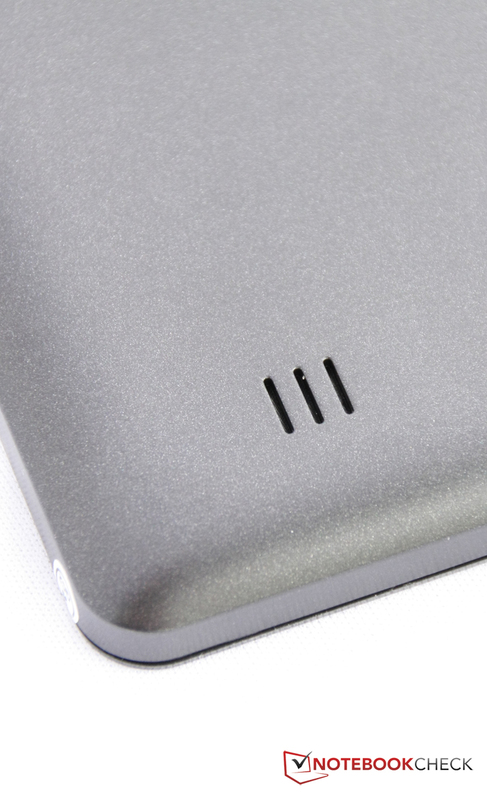 The highlight is most likely a protective case with USB keyboard for 10 Euros (~$13). However, the quality of the accessories is questionable considering the tablet's build. Besides that, shipping costs as well as possible customs fees increase the price of the accessories. 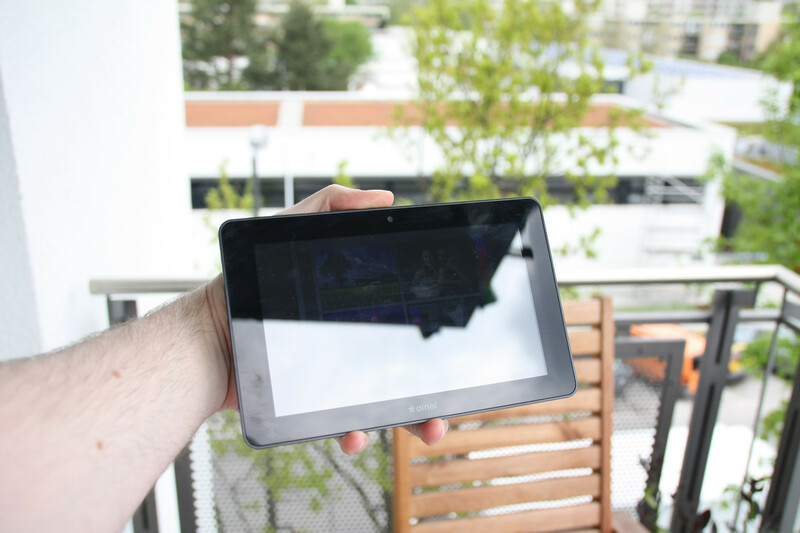 Ainol includes a 12-month warranty on its tablet. It can be upgraded by a further 12 months for a low 30 Euros (~$39). Warranty claims can easily be submitted via a form when the tablet is registered on the manufacturer's website and an account is created. The tablet has to be sent directly to China for repair and it would thus be advisable to inform yourself about customs regulations. Ainol's support tries to answer all questions on the website and there are also a few updates to newer Android versions available. The manufacturer has not modified the general Android interface and uses Google's default virtual keyboard model. This is usually not a drawback because the on-screen keyboard is very functional. Users who do not like this keyboard can look around in Google's Play Store for another one. 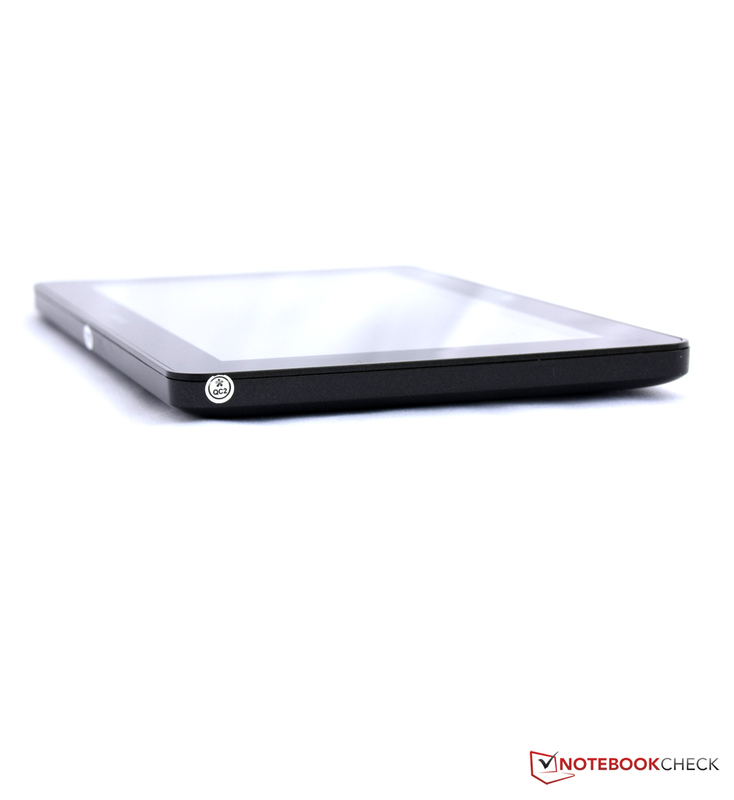 The capacitive touchscreen detects up to five fingers at once and works reliably. All inputs were identified correctly during our test. The surface also exhibits an agreeable resistance when gliding and does not give reason for complaint. Just as we were praising the tablet, the screen, with a resolution of 1024x600 pixels, gives us plenty of reasons for complaint. First, there is the much too low brightness, on average 178 cd/m². Although that more or less corresponds to the tablet category standard when compared with the Captiva PAD 8 Pro or Odys Loox, the low rate involves clear limits in outdoor use or bright surroundings, which we will describe further below. 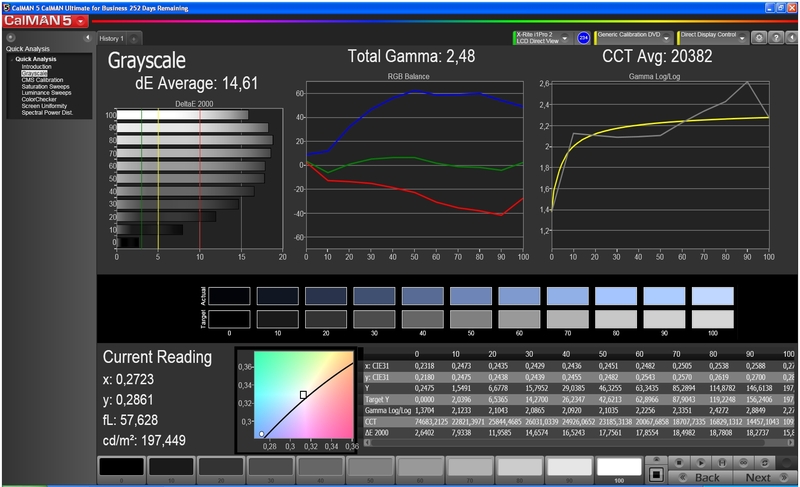 A poor contrast ratio of 200:1 results from the quite high black value of 0.98 cd/m² alongside the low brightness. Consequently, it is difficult to see a difference between similar colors. The colors look fairly vivid in practical use, but dark hues often look faint due to the high black value. 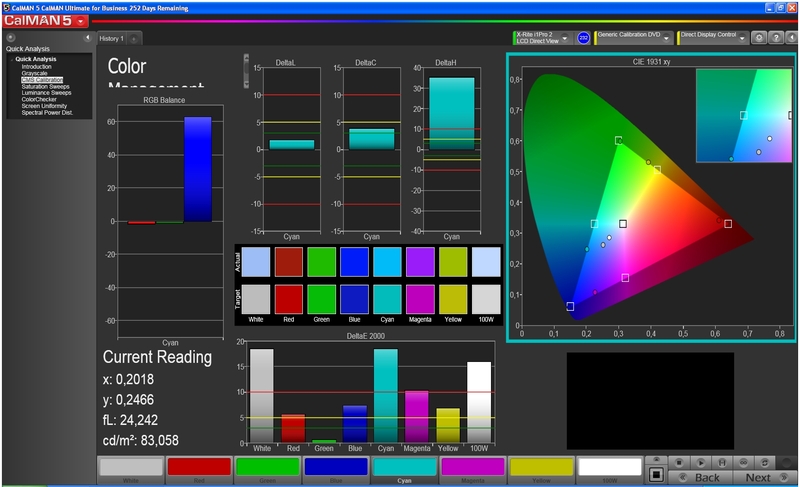 The screen in Ainol's Novo 7 Crystal Quad Core fared quite well in the field of color accuracy, which we ascertained using the CalMAN software and a colorimeter. 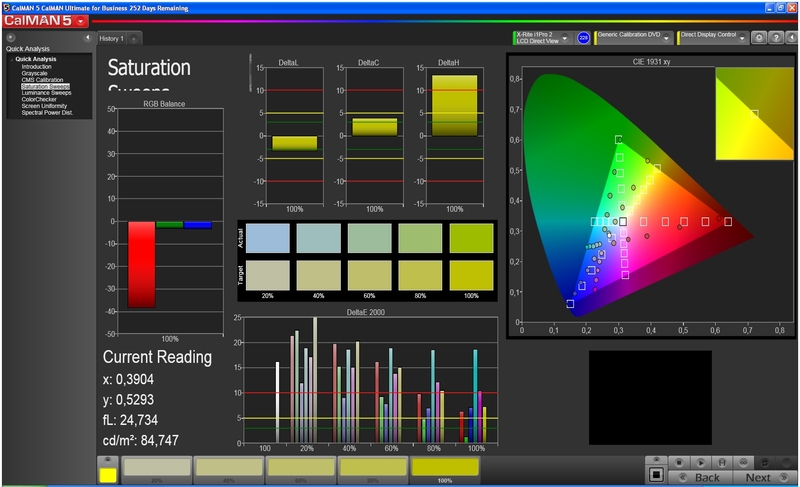 Although it also exhibits the typical bluish cast seen in many screens, the red and yellow color hues do not deviate as strongly as in other displays. However, a bluish cast in the gray hues is visible to the naked eye in the grayscale in the chart of the screenshot. Green and blue are very close to the ideal value but red is very under-saturated in the color saturation. The corresponding screenshots can be seen below. The low brightness already make it difficult to use the screen in brightly lit rooms indoors. 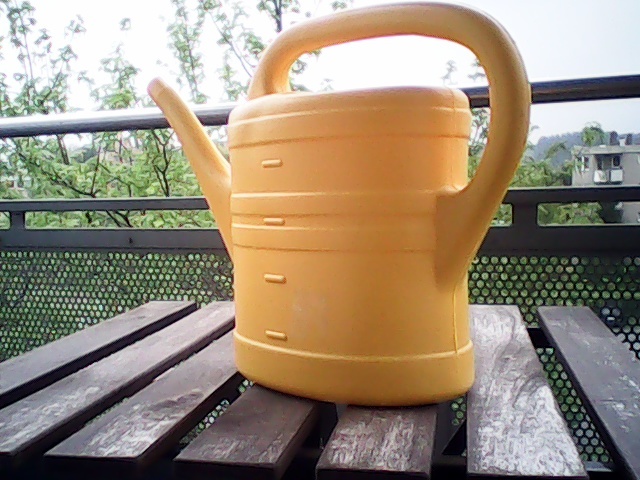 Outdoor use is virtually impossible. Although it is possible to work with the tablet in the shade, it is very strenuous on the eyes due to the permanent reflections caused by the glossy screen. Ainol states a viewing angle stability of 180 degrees in all directions on its web page. This was not confirmed in our tests. The viewing angles stayed fairly stable to the right, left, top and bottom in landscape mode. 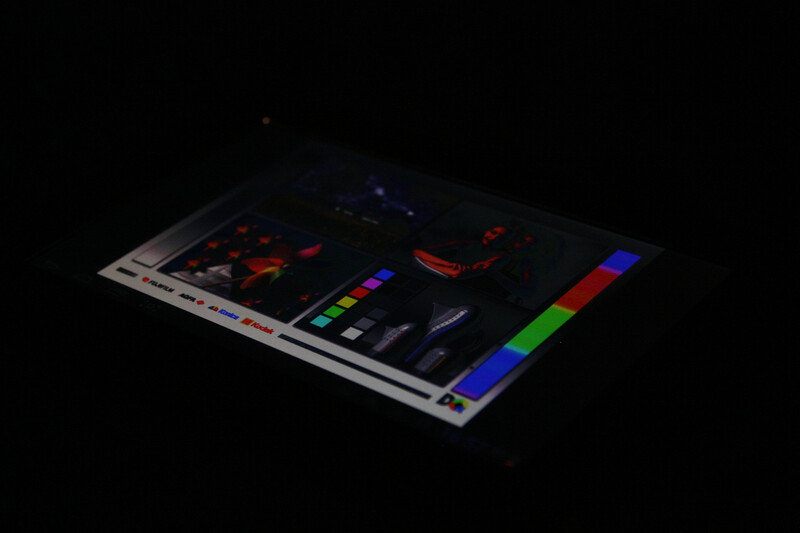 However, the screen's contrast decreased very quickly when we tilted the tablet away from us. The SoC is built by the Chinese manufacturer Actions Semiconductor and is dubbed Actions ATM 7029. The manufacturer's website specifies four ARM Cortex A9 processors in this SoC, which would be a considerable powerhouse for this price. However, the cores' clock rate of 1 GHz is not very high. Ainol's Novo 7 Crystal Quad Core only offered a poor performance in the synthetic as well as processor benchmarks and constantly placed itself at the lower end. This was reason enough for us to do a bit of research and we found out that apparently not Cortex A9 cores but rather Cortex A5 cores have been implemented, opposing the official specifications. This would explain the extreme performance difference. 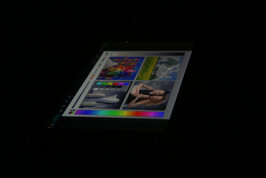 We also specified the cores with Cortex A5 in our news about the tablet's launch. A few Internet sources (here in English and here in German) also confirm this suspicion. Ainol's tablet fared quite well in the synthetic GPU benchmarks and could even be a threat for Google's Nexus 7 depending on the benchmark. The Vivante GC 1000+ dual-core should therefore be quite apt for all current games from Google's Play Store. More information can be found below under Games. The same picture as in the processor benchmarks is seen when Ainol's Novo 7 Crystal Quad Core is used for browsing on the Internet. The synthetic benchmarks consistently show a poor system performance. The tablet is usually in last place. Websites need a longer time to load and scrolling is not smooth in practice. The flash memory of Ainol's Novo 7 is not particularly fast either. The tablet unfailingly places itself behind its contenders here. This is noticed in the long wake up times needed from standby and the delayed start of apps. 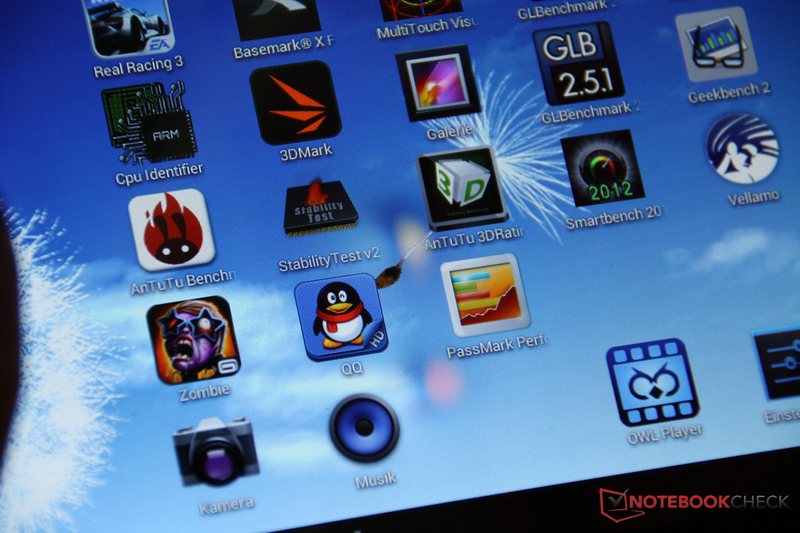 Owing to its fairly potent GPU, the tablet did not exhibit any glitches or delays in gameplay during the practical test. Zombiewood ran smoothly even when dozens of undead staggered across the screen and the shooter ShadowGun: Dead Zone ran well even in maximum graphic settings. 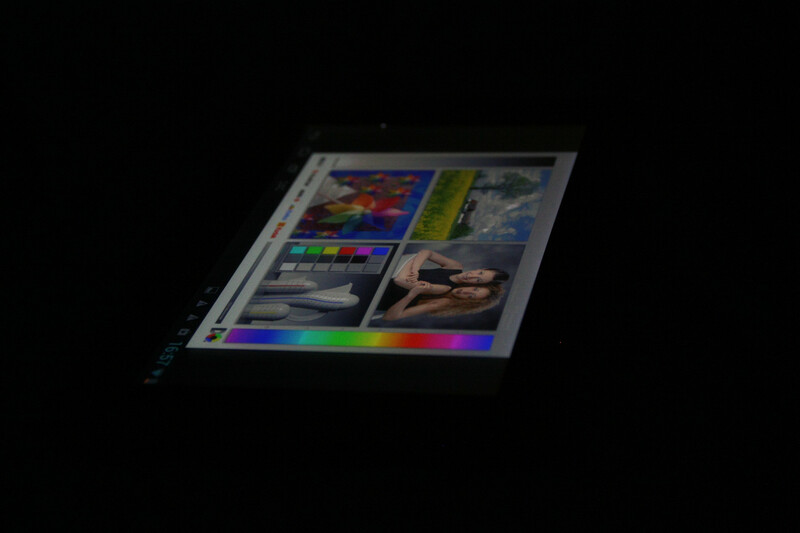 The apps only needed a bit longer to open than in other tablets due to the somewhat slower flash memory. 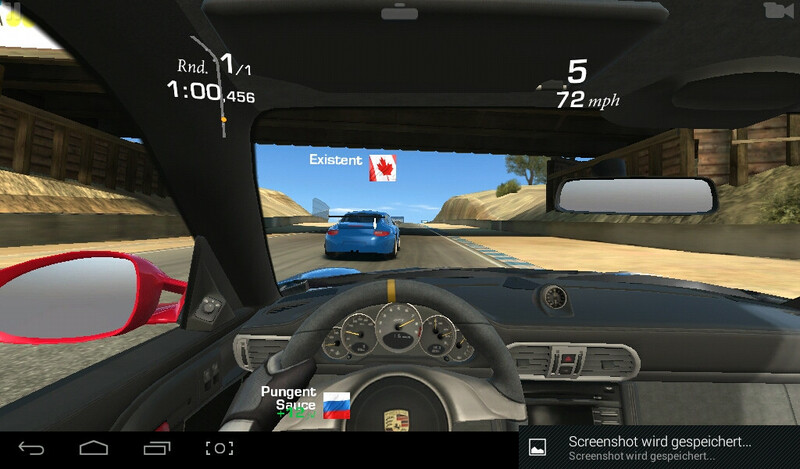 We also did not notice any stutters in the racing game Real Racing 3, which has quite demanding 3D graphics for tablets. Here, we could also test the position sensor's precision, which implemented our steering commands accurately. The temperatures of Ainol's Novo 7 Crystal Quad Core were never extraordinary even when the tablet was put under full load for a long time. 40.3 degrees Celsius (104.54 Fahrenheit) on the back can be felt but the tablet still can be held comfortably. The maximum temperature of 34.5 degrees Celsius (94.1 Fahrenheit), without load, measured on the lower left front will barely be noticed anyway. The tiny speaker located on the back surprises with a rich and powerful sound that only lasts as long as the opening is not covered. 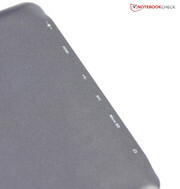 The sound is muffled as soon as the tablet is placed on a table or a finger covers the speaker opening. 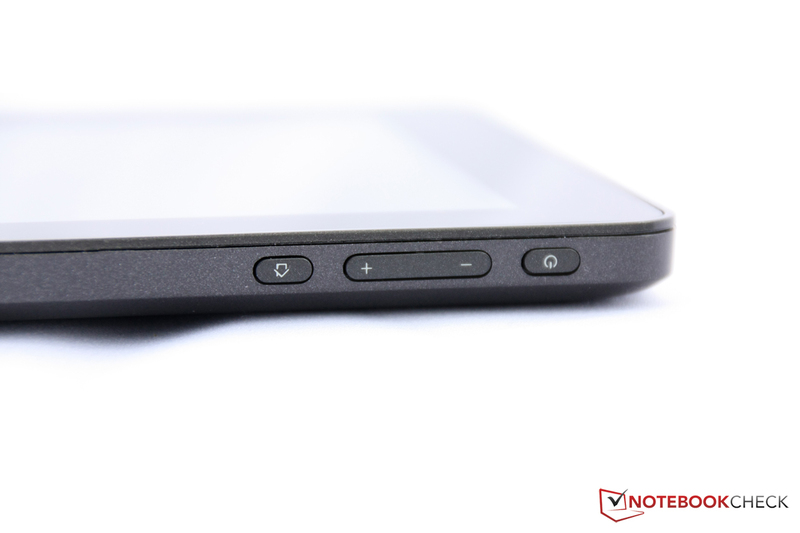 The sound is loud and balanced when the tablet is held in the hand, but it could overdrive in maximum volume. Although the sound mainly focuses on mids and trebles, they at least sound very natural. Music and movie fans will likely prefer external speakers or headphones. However, the internal speaker is quite acceptable should that not be at hand. The power consumption of Ainol's tablet is class average. 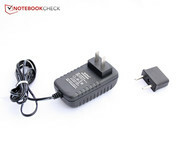 The high consumption of 0.5 in a deactivated state or one Watt in standby mode could be held against the tablet. Acer's Iconia B1-A71 does a much better job with zero and 0.1 Watts. The idle consumption rates are pretty much on a par with other systems. The weak processor cores are noticed favorably during load. 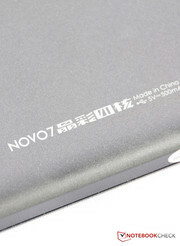 The Novo 7's maximum power consumption of 5.5 Watts is much lower than that of its contenders. This low consumption is also noticed in the battery runtimes. Ainol's Crystal is far in front with a load runtime of 3:20 hours. Although 6:18 hours while surfing via Wi-Fi is 30 minutes less than Google's Nexus 7, it is a lot more than Prestigio's MultiPad 7 or Captiva Pad 8 Pro. 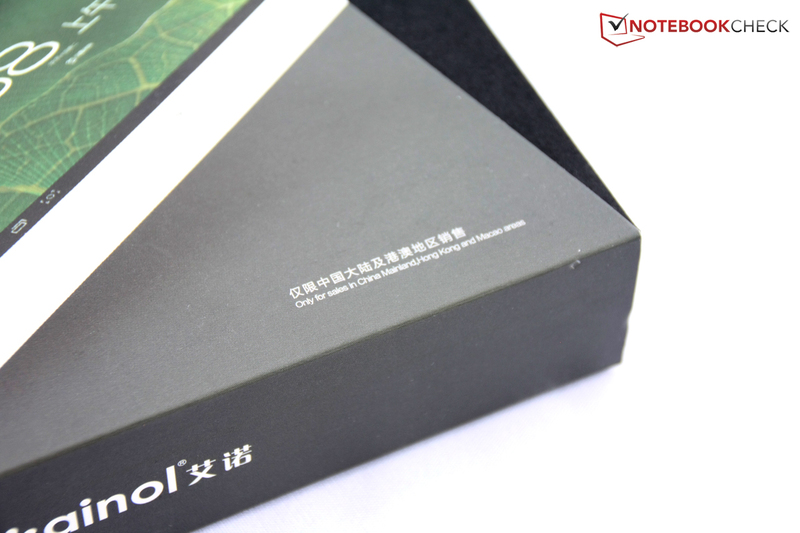 Our first impression after unboxing Ainol's Novo 7 Crystal Quad Core was devastating due to the creaky and unstable casing as well as the user's manual written in Mandarin Chinese. However, Ainol's Novo 7 could pacify us to an extent in the end. Its 3D performance is decent and it renders all current games smoothly. The speaker's sound is good when the tablet is not placed on a table, the temperature remains within an acceptable range and the power consumption is fairly low. Nevertheless, the painful knowledge that Ainol's Novo 7 has a few major shortcomings, at least in our version, remains. The language has to be changed after resetting the device and the user will want to delete Chinese apps, which are useless for Western users and regains storage capacity. Repair can take a long time when something is damaged because the device might have to be sent back to China. Also, a slower system performance than is known from most contenders has to be accepted. 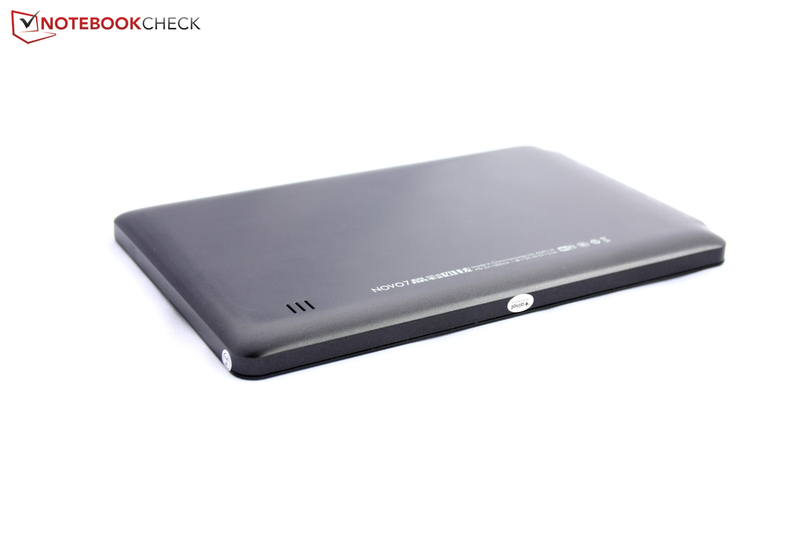 This only has a minor impact in everyday use; Android and most apps run smoothly. 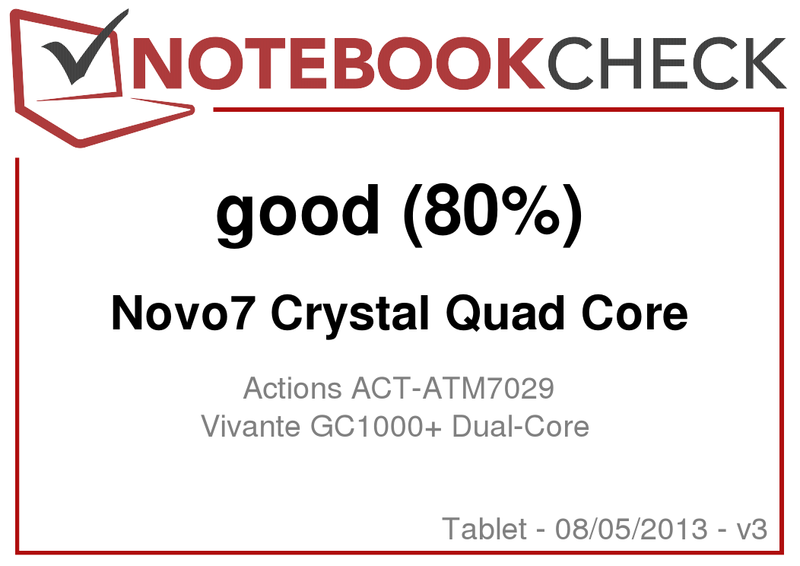 The Novo 7 Crystal Quad Core is, in keeping with Ainol's mystical names, perhaps something for rebels who refuse to buy a brand name tablet and want to look outside the box to see what smaller manufacturers have to offer. However, the price should already indicate that it is not a tablet that is top-rate in every category like the Google's Nexus 7. On the other hand, the price difference of 100 Euros (~$128) is not too big. Acer's Iconia B1-A71 or Captiva's PAD 8 Pro are somewhere between that and prove that comparing devices before buying is definitely worthwhile. These inexpensive tablets are not perfect but, for example, feature a superior casing quality and computing performance. Users looking for an extremely low-priced entry-level tablet and who can accept one or two major compromises will find in Ainol's Novo 7 Crystal Quad Core a tablet that many people pass over. But maybe there is a reason. Stylish packaging and the power supply has its own box. Ainol sends its Novo 7 Crystal Quad Core to our test lab from China. It found its way to us despite restrictions on the packaging. delivers a universal PSU with a regional plug. The design is rather plain and the build quality is regrettably unsatisfactory. Ainol has a preference for mystical names. Our test device is dubbed "Crystal". The casing creaks and can be warped easily. The back cover is also susceptible for fingerprints. The flipside is so unstable that pressure applied to the back remains visible on the screen for a longer time in form of colored marks. The user interface is in Chinese after resetting the tablet. Ainol has not modified the tried Android interface otherwise. 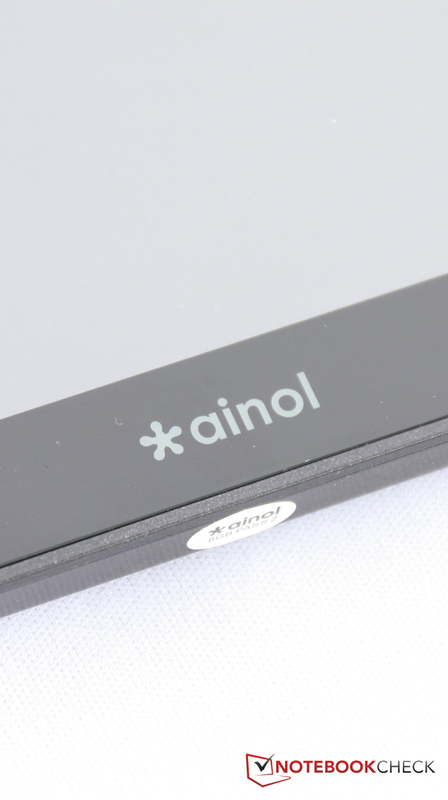 Ainol includes a few shortcomings in its Novo 7 Crystal Quad Core. The tablet does a few things quite well. For example, the speaker is very powerful and the sound is quite good. The tablet weighs less than many of the contenders. The touchscreen does not give reason for complaint. It is gliding eager and detects up to five fingers reliably. which not all budget tablets offer. expand the storage up to 32 GB. 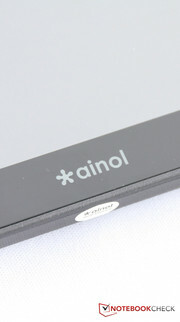 although Ainol makes a few blunders that most other suppliers avoid in this price range. A stiff casing is simply standard nowadays.